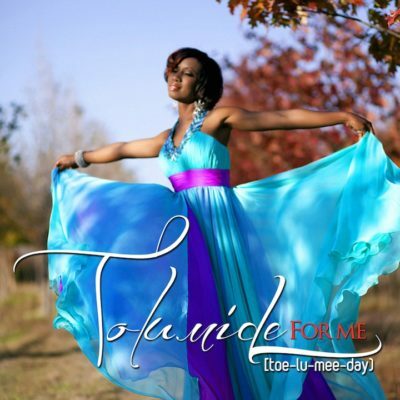 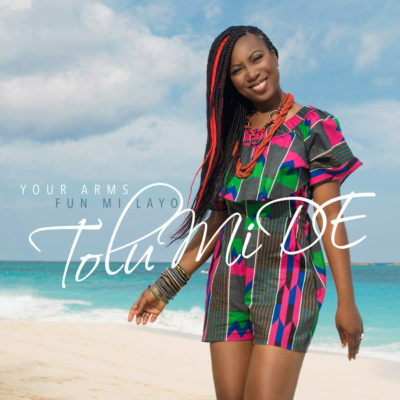 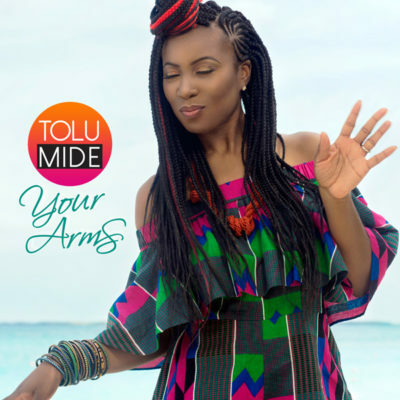 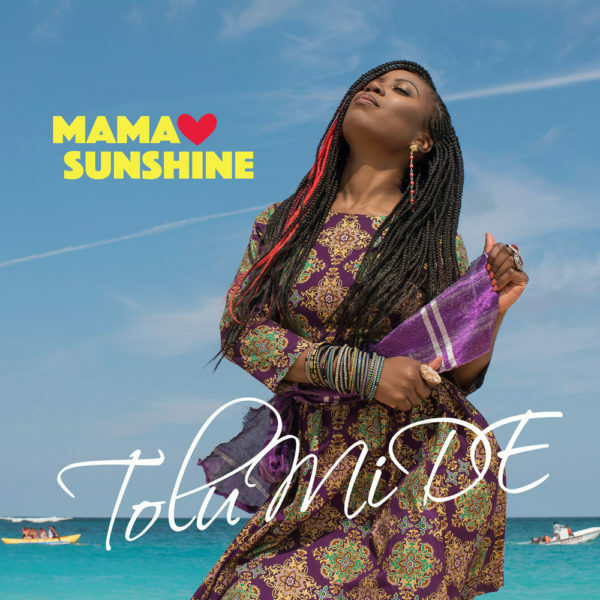 Nigerian Soul R&B artist TolumiDE has announced the release of her acoustic EP “Mama Sunshine.” For this EP, she enlisted the help of two talented African artists. Jaja Basheghezi, who played guitar and produced the music, and Toby Foyeh, who co-wrote the title track. 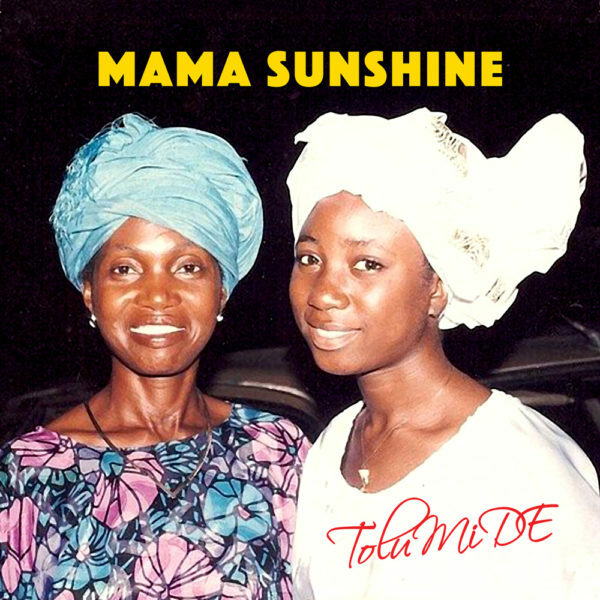 The listeners’ journey starts with “Mama Sunshine,” a song about the warmth and sunshine that mothers bring to all of our lives, then moves through four more tracks filled with themes of self assurance, overcoming challenges, and love with an extended version of Your Arms produced by James Mckinney, featuring Kevin Prince on percussion and Olamide Timothy on bass, She chose these specific songs because she wanted to feature them in a more intimate setting, giving listeners a chance to hear them in a completely raw and organic format before they move into further professional production. 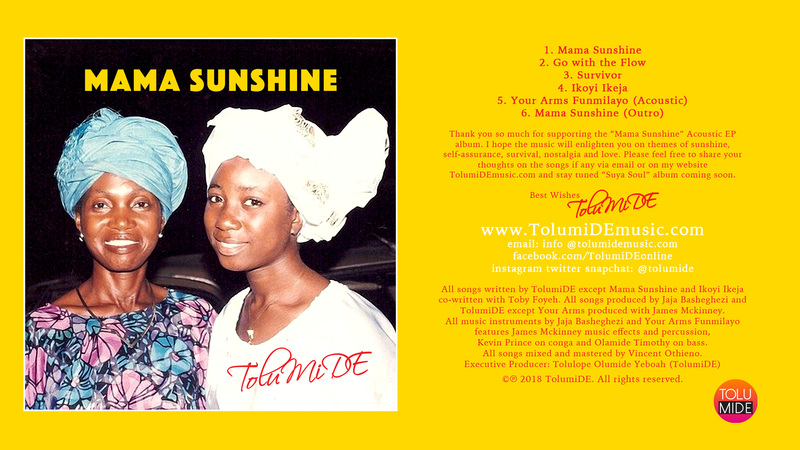 When fans are listening to this EP, it will feel as though they are experiencing TolumiDE singing it live, right in front of them. 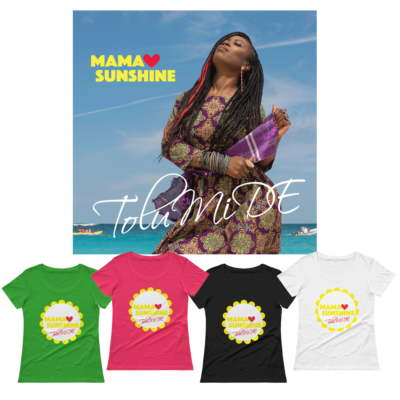 Inspirational and Enlightening RnB & Afro-pop world music, showcased by Nigerian Singer & Songwriter translated through soulful, gospel and poetic sounds.